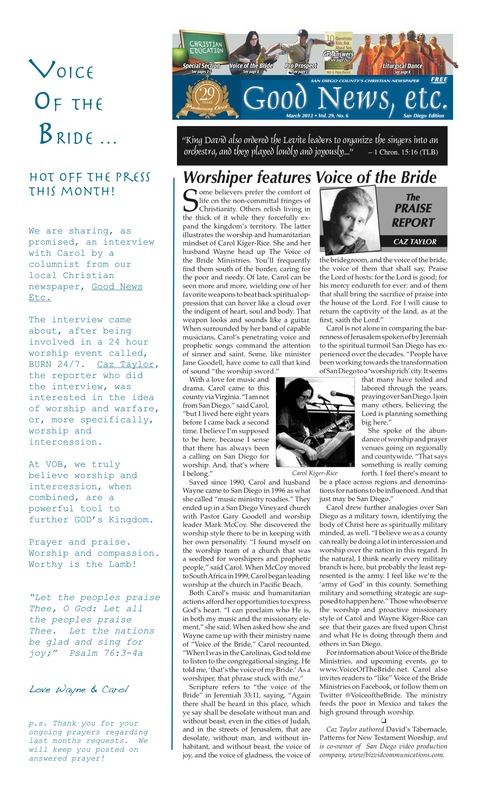 March 15, 2013 June 18, 2013 voiceofthebride NewslettersBURN 24/7, Caz Taylor, Good News Etc. Click on image and then click again in order to zoom in on article. For more info on Good News Etc and Caz Taylor see sites below. ← Worship Night for the Nations!